Dragon’s Code by Gigi McCaffrey is out now! 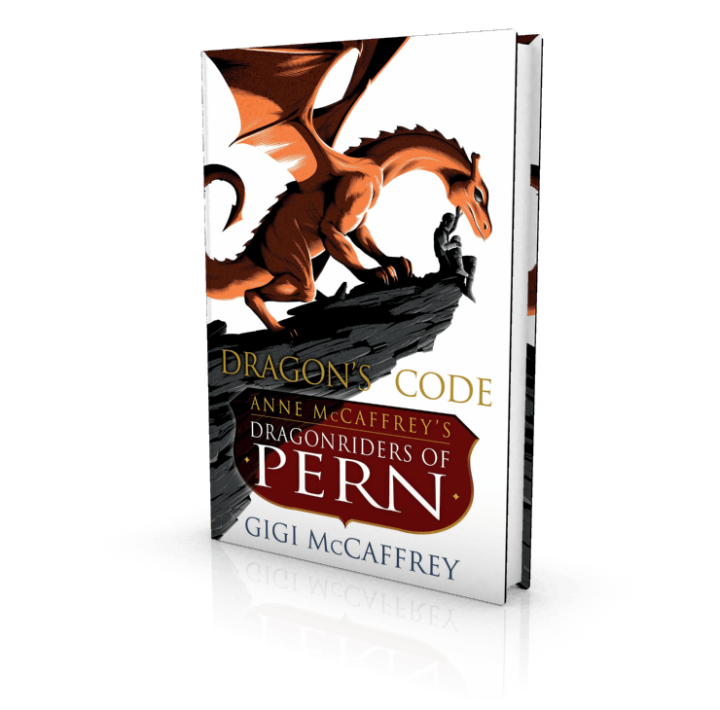 In Dragon’s Code: Anne McCaffrey’s Dragonriders of Pern a new hero emerges in a divided world as one of sci-fi’s most beloved series–Anne McCaffrey’s Dragonriders of Pern–relaunches with this original adventure from Anne’s daughter, Gigi McCaffrey. In honor of the fiftieth anniversary of the Dragonriders of Pern series, Gigi adds to the family tradition of stunning science fiction writing. In a world already beset by the pitiless adversary another, more insidious danger looms: For the first time in living memory, dragons may be on the verge of fighting dragons.